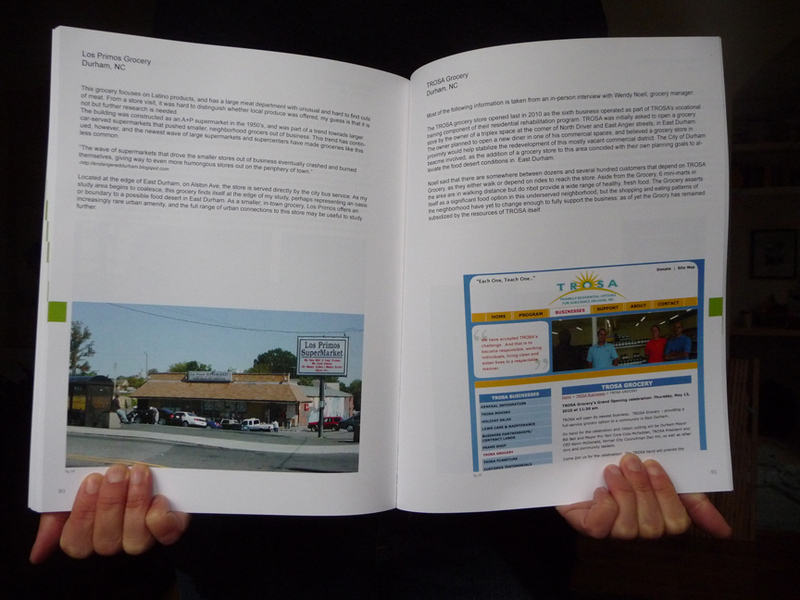 My formal research and design into local food systems began in 2009, and led to the production of this masters thesis. The design problem: intervene in the physical and economic environments of Durham to bring about change in local food system participation. By design any proposal would require balance between top-down initiatives, strategic investment, and grassroots organization and capacity building. Between 2011 and 2013, the principles I developed in this work and the ideas I proposed have led to the body of work, relationships, and practice methods I've decided to call Community Food Lab. It is a touchstone, a solid ground from which to leap off into a hybrid model of practice, in which the designer becomes a strategic partner in food system policy, planning, and development. Design thinking is especially well suited for intervention in complex systems. Characterized by critical spatial analysis, interdisciplinary engagement, and open-ended problem solving, design thinking provides the opportunity to read and react to the economic, social, cultural, and physical aspects of real-world systems in meaningful, sustainable ways. This project posed the following question: How can architectural and urban design strategies strengthen community food system initiatives and interventions? 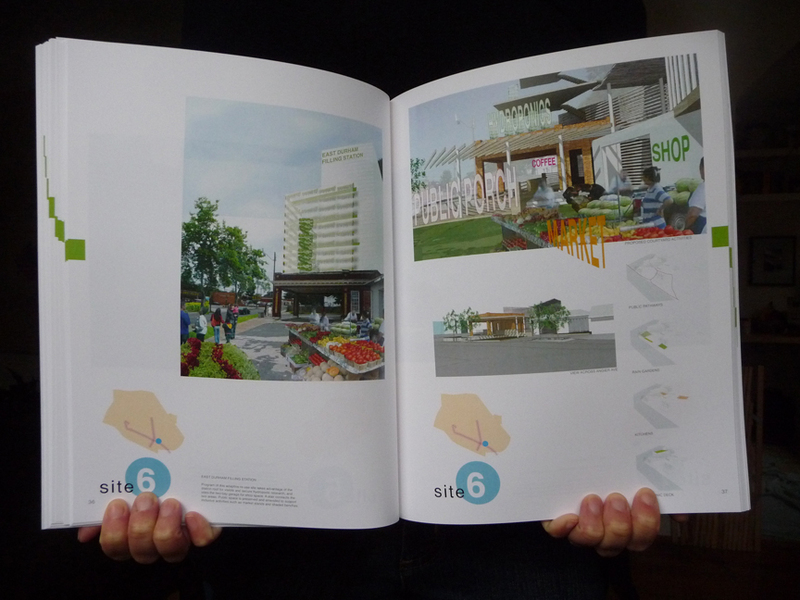 One proposition is that an architect’s role in helping build healthy community food systems should not be limited to client-initiated service design, and that research and active speculation into local food communities may reveal productive territory for place-based and place-supportive design. Through tools such as design, advocacy, and engagement the architect and designer can reach beyond a service-based model and create methods that link social intention with design outcomes. 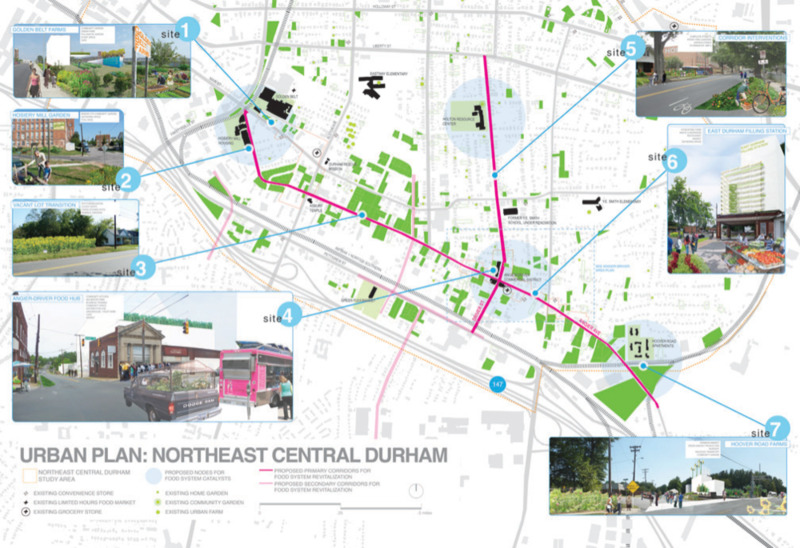 In this East Durham design proposal, strategic investment is centered around existing neighborhood nodes, to build critical mass and mutual benefit of adjacency. Corridors are identified between nodes, and along these corridors multi-mode transportation is encouraged while at the same time grassroots initiatives are encouraged that lead to a physical expression of an interactive local food system. It is a flexible scheme driven by principles of diversity, inclusiveness, and participatory opportunity into the local food system as more than just consumers.